The management team at Stonepoint have many years experience working within the pharmaceutical/medical industry with major blue-chip customers. 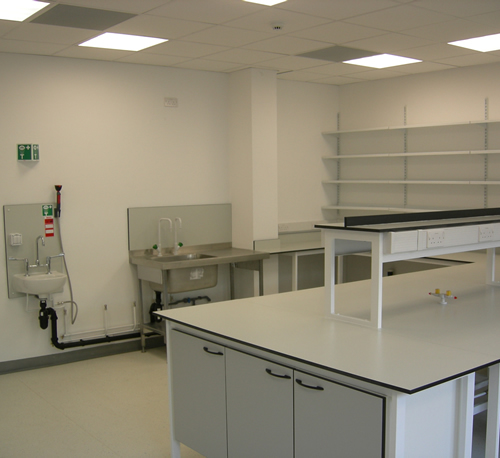 Previous projects range from mock-up Accident & Emergency wards and operating theatres for Universities, to laboratory fit-outs (including medical gases, specialist floors and fume cupboard installations). All projects have been completed within live working environments. Do you work in the medical sector and need a reliable, experienced fit-out team?